Yesterday was the A1A Marathon and Half. The last couple of years this half has been the final exciting race in my season, but this year I didn’t have a season. I literally did not run in one single race, and I am comfortable with that. I’ve been busy with being a new homeowner, and the trade off has been worth it to me. However, I generously received a free entry from the race organizers for A1A, and I was registered for the half. The thing is, as race day got closer I felt less and less excited about this race. While I feel confident I could have covered the distance, I would have had zero expectations except to expect the worst. My training over the last couple of months has been all over the place, and many weeks I’ve just totally skipped any speed work. My only commitment as of late has been to the mid-long run because I have a personal rule of keeping a base of at least 8 miles at all times. That’s why I feel sure I could have covered the half distance, but it wouldn’t have been pretty. When I saw an email come through saying there was a heat advisory for race morning I decided I would not run this race. Instead I would wait for the crowds to clear and just go out for my own mid-long run along the race course later in the evening. And that’s exactly what I did: 7 enjoyable miles along A1A all by myself. I finished that run feeling good (my calves were super tight the first two miles but then they loosened up completely). My coach had seven miles on my schedule for yesterday and I did seven miles. If I had run A1A I don’t think I would have felt good. Physically it probably would have taken a lot out of me since my longest run over the last few weeks has only been eight miles, and mentally it would have torn me down since I am sure my time would have been very slow. Even though I would have prepared myself for a slow, steady race it still stings when you cross the finish line far off your PR. I learned that last year. 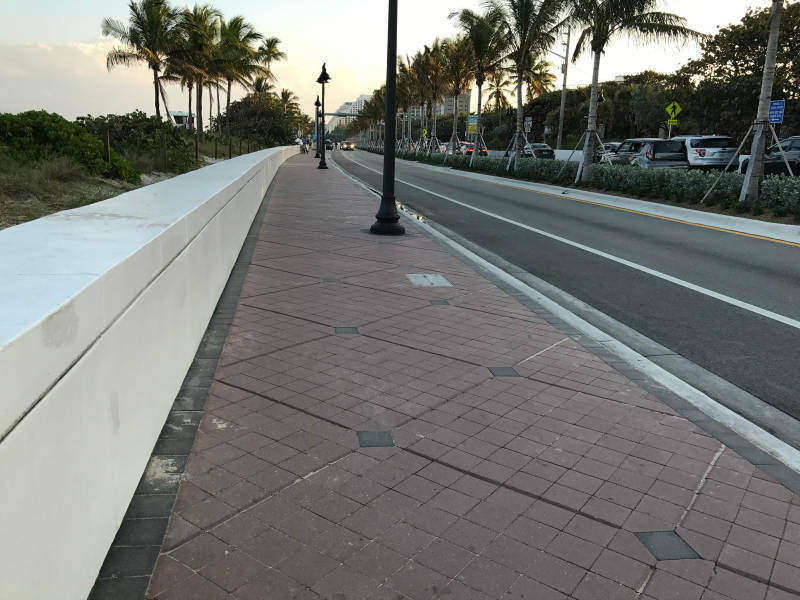 I am sure that there are many more A1A half marathons in my future. I’m working with a coach now and I’m excited about the plan she has me on and the goals I am going to crush throughout 2017. I can definitely see myself running A1A again in 2018 with all of the confidence and gusto I had when I ran it in 2015. So yeah, I didn’t run A1A but Ali did and I am sure she will have a great race recap up soon! 1. I Bought a New Ring Holder! 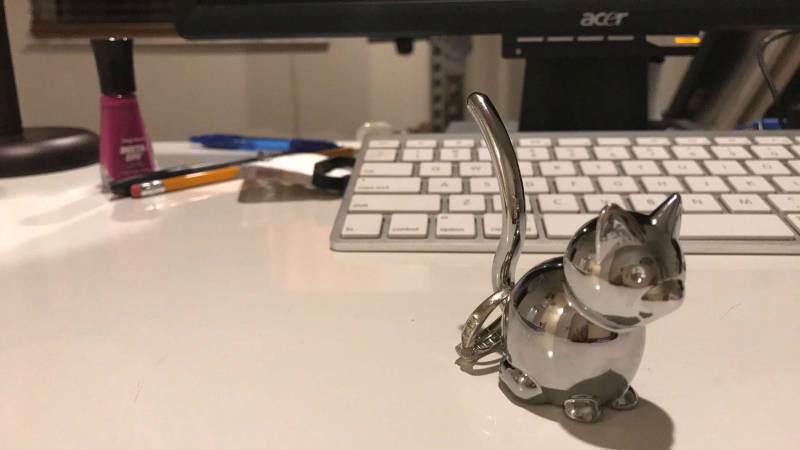 On Friday I blogged about how much I love Amazon’s Interesting Finds section, and on that day I just happened to come across this cute cat ring holder (only $8)! Thanks to the power of Amazon Prime it showed up at my doorstep yesterday. I wish it was closer to the holidays because I feel like this is the perfect stocking stuffer! 2. 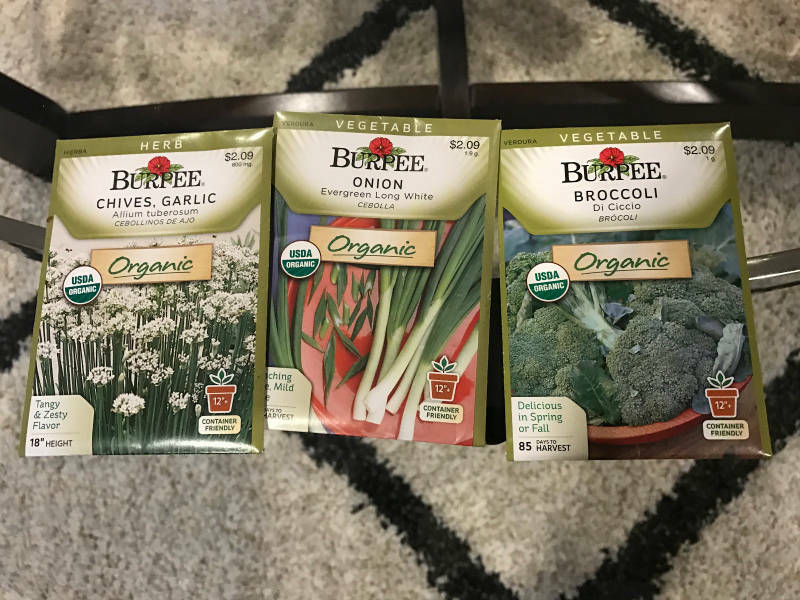 I’m Growing a Garden! If you remember back in 2014 it seemed like every run blogger on the planet started their own garden and I was so jealous. I wanted to grow my own vegetables too, but that wasn’t really possible in my apartment complex. Well, now that I have the space for a garden you better believe I am going to grow my own food! Over the weekend I picked up a few things to get started with. I went with items that I use very frequently. If I can make these guys work I’ll definitely expand into other veggies! 3. 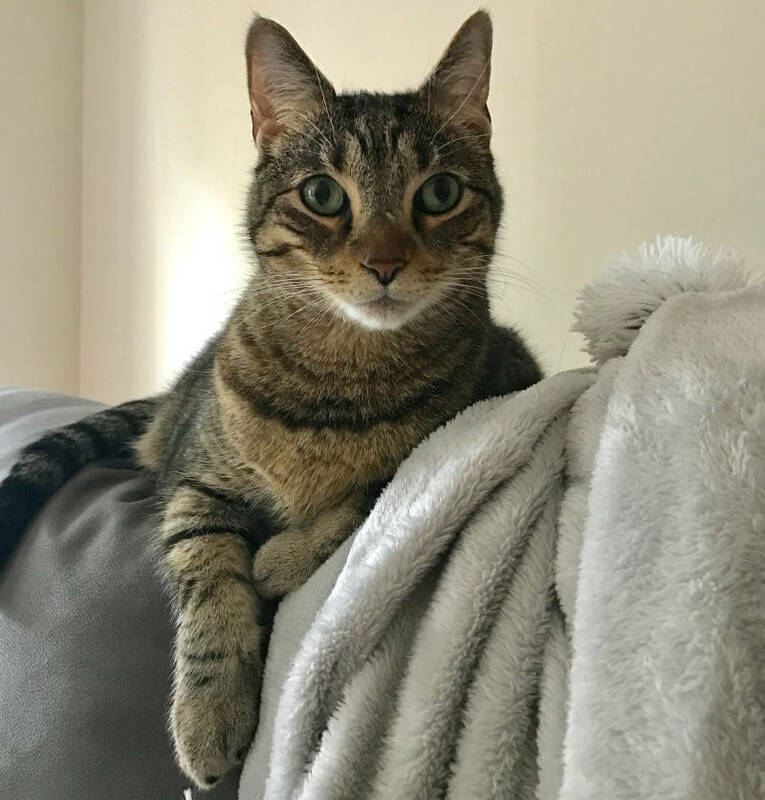 Just Look at This Wise Cat! Doesn’t it look like he’s ready to give some good advice? If only cats could speak our language. Actually, I’m pretty sure his advice for everything would be “take a nap and see if you feel better after” which sounds like really good advice to me! Do you grow any veggies in your garden? PS: I am sooooooooooooooooo behind in responding to comments, replying to snapchat messages and responding to emails. I promise to get caught up today! I’m sorry if you’ve been waiting a long time for a reply! Sounds like a smart decision to skip the race. I haven’t raced since June and there is no way I would feel comfortable doing a half right now. Is it rude to say I’m glad I’m not the only one?! I’m glad you had an enjoyable 7 miles! Running a half in a heat advisory does NOT sound like fun. I am a little behind in FB world right now because I was OUTSIDE ALL DAY YESTERDAY! I don’t even know how Ali’s race went yet… I love the cat ring holder. Do you take your rings off at work? Speaking of heat advisories, I am about to go out for my morning run… 45 degrees!! I don’t take my rings off at work, I just take them off at home. I don’t like to wear them when I shower/get out of the shower because I don’t like moisturizer getting on them! Hahahah 45 degrees sounds AMAZING! Sounds like a smart decision to have skipped the race. Seven enjoyable miles definitely beats 13.1 painful miserable miles. Exactly! I was a little bit sad about it when I woke up Sunday morning and Adam said “well you missed the race” but I got over it pretty quickly! Well don’t you look so comfy mr. Cecil!! Haha I was new here in 2014 but I don’t remember a bunch of run bloggers having gardens? But good for you! We totally failed at having a garden this year. We got a little over eager with planting things and just couldn’t keep up with the work. We also didn’t have the foresight to make a fence and rabbits ate a lot of our stuff. Sounds like you made a good call to bail on the race. I’m the same way, I don’t like to run races I don’t feel prepared for. I heard the race was terribly hot this year! It was probably a good thing to sit it out. I’m not sure that anyone would finish in those temps while still feeling good after. Frank and I are moving to Salt Lake City (YAY! ), so we spent our weekend packing, cleaning out the car to prepare for the move, and going to some of our favorite spots in town for the last time. You decided to move! Yeah! I think you both will really love SLC. I’ve only driven through once but I remember it was gorgeous! Oh boy, I did not take that heat advisory seriously and I really should have. It was brutal. I saw 5 or 6 people pulled off the course on stretchers. I think you made a smart choice, but I’m sorry I missed seeing you! Oh my God I love your kitty. So cute! I ran this weekend. Wasn’t really good, but that’s better than doing nothing. I hear ya! Sometimes a run feels way better in hindsight! Do you mind pointing me toward the running coach you are working with? I’m not sure I can afford one right now but I’ve been thinking about it. Thanks! That heat advisory sounded scary! I ran a half last year in June and it was torture LOL. Hey Jenny! I am working with Mollie Turner who came highly recommended to me by Jenny at runjenniferrun.com. You can learn more about her coaching here: http://www.pieceofcakerunning.net/shop/online-coaching If you do sign up be sure to let Mollie know I sent you her way and if you have any questions about working her just shoot me an email! It will be interesting to see how the broccoli grows for you. I have never tried it but I wonder if it grows a lot (a large “crop”). I grew snap peas last year as a “new to me” vegetable for my garden, and I loved it… but the plants produced far too few peas for our family. I snacked on them, but not enough for a meal for our family. So this year, more of those plants for sure!! I usually just start with plants because I forget to start the seeds – and our growing season is shorter than yours, so we need a head start!